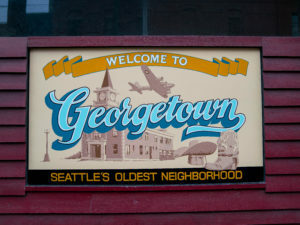 A 15-minute #HelloYellow ride from downtown Seattle, the West Seattle Junction feels like another town, with its own culture and vibrant nighttime scene. 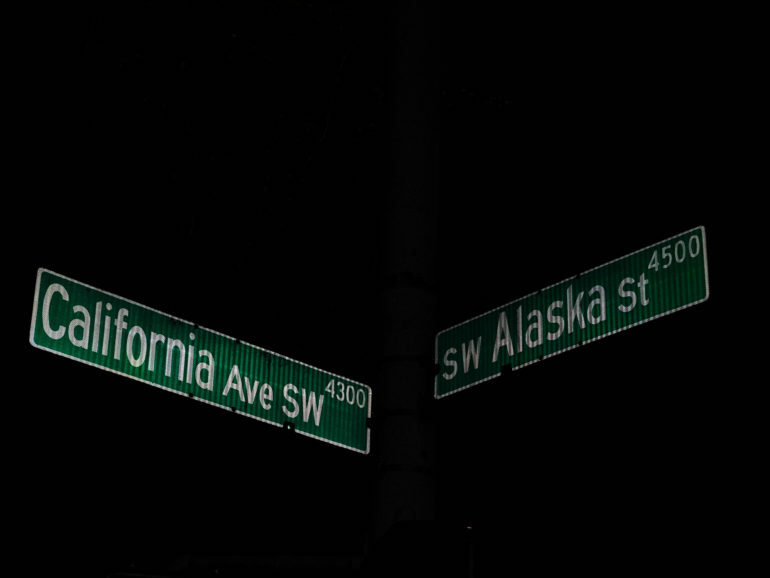 To experience it best, get dropped off where California Ave SW and SW Alaska St. intersect. Here’s just a sample of all the neighborhood has to offer. Talarico’s Pizza serves up tasty salads, entrees, and yes, Pizza. Dine fireside, bring the little ones in for a health kids menu, or enjoy Wednesday night trivia and Friday/Saturday/Sunday & Monday night karaoke. They also offer free WIFI and private dining options. 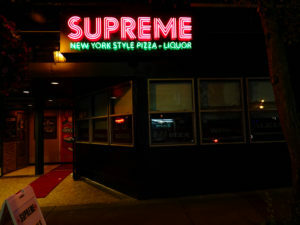 On warm summer evenings you’ll probably hear the crowd at Supreme Pizza from several d oors away. The neighborhood bar serves great pizza, strong drinks, boozy slushies, and sports on TVs. View their delicious menu here – and you can even order online. One door south of Talarico’s is Elliott Bay Brewing Company, part of a family-owned mini-chain of brewpubs that also has locations in Burien and Lake City. View their menu here. 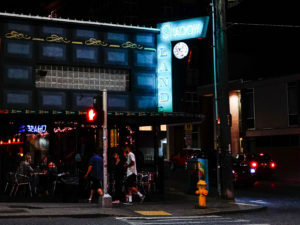 Matador’s West Seattle location is part of a popular chain of made-from-scratch Mexican restaurants and tequila bars that started in Seattle and now has 11 locations around Seattle, Portland, Colorado, Idaho, and Las Vegas. 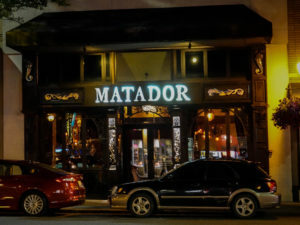 The West Seattle Matador has become a staple of The Junction, a popular dining and shopping destination. 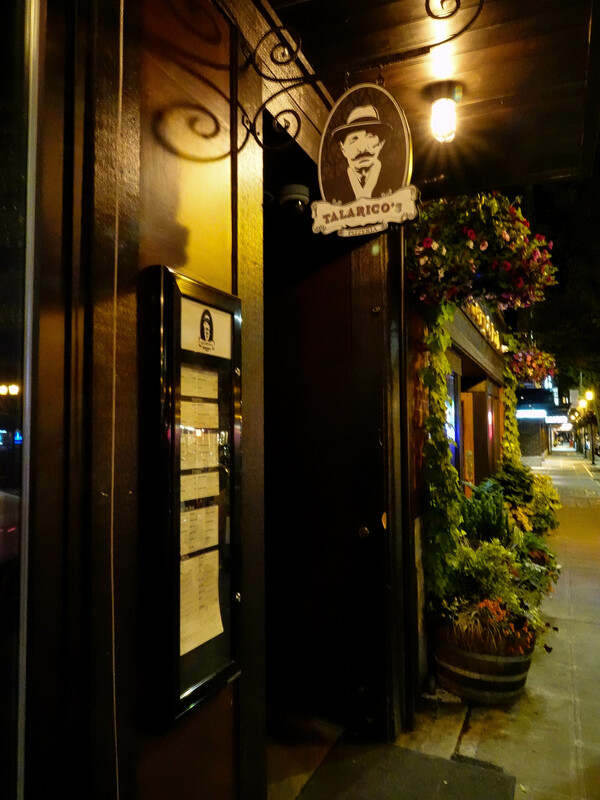 The meticulously crafted tables, custom ironwork and beckoning bar set the scene for enjoying Seattle’s best Mexican cuisine and a collection of more than 100 tequilas. 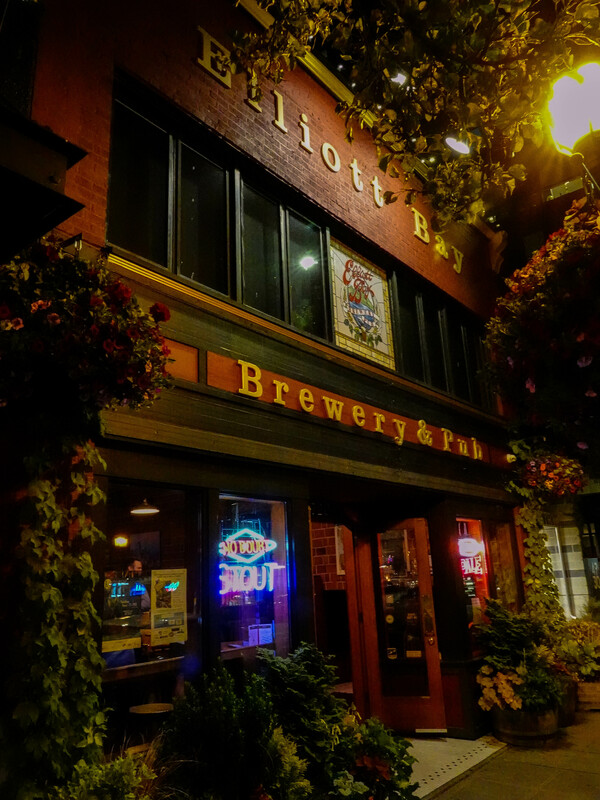 Whether you tuck into one of the many booths after a day at Alki or circle round the open fireplace after cruising our taco tent at Summer Fest, our convenient location is the perfect remedy for a late night craving. Note: this location is 21+ over only. 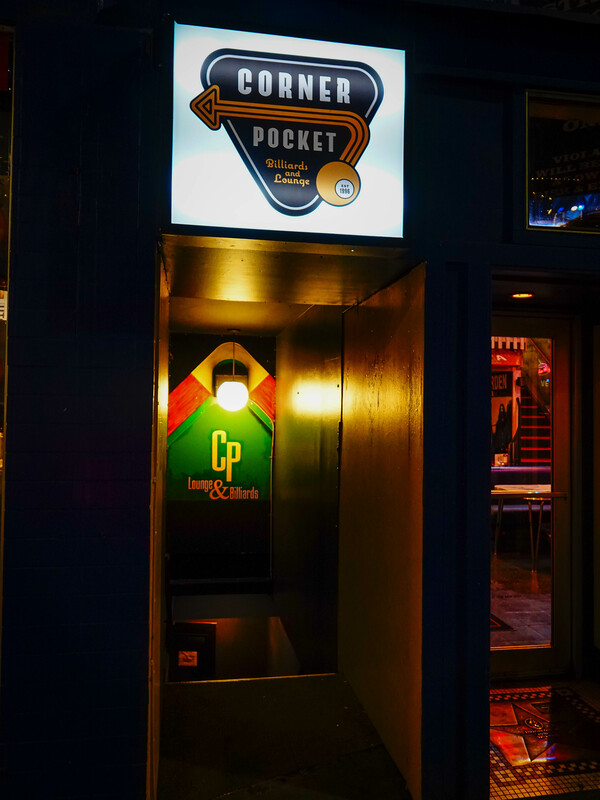 Tucked under Easy Street Records, the Corner Pocket is a neighborhood favorite for pinball, billiards, and beer. Check out interior pics here. 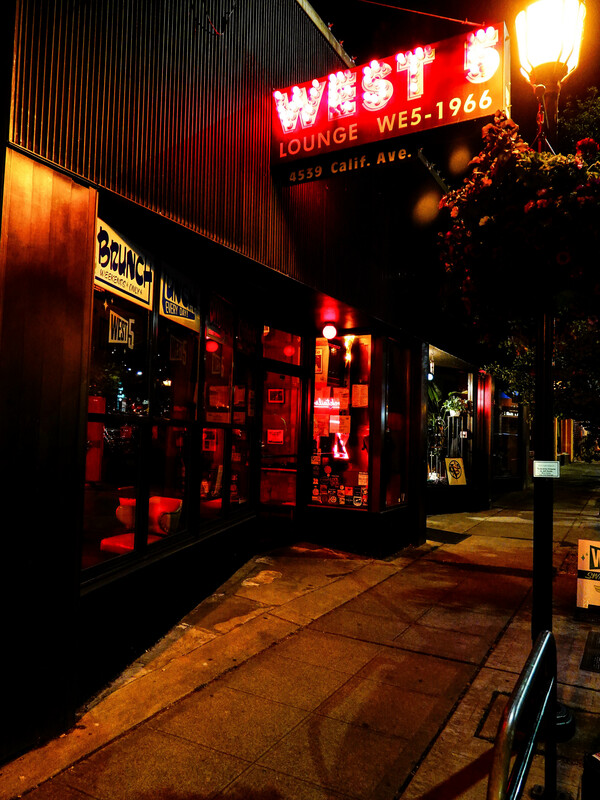 The West 5 lounge offers tasty cocktails and cuisine in an intimate, retro setting. 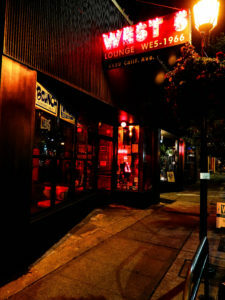 Known for the “Best Happy Hour in West Seattle” and preeminent cocktails, the West 5 is definitely worth a visit. View their extensive Happy Hour menu here, and check out the weekend brunch menu while you’re at it! 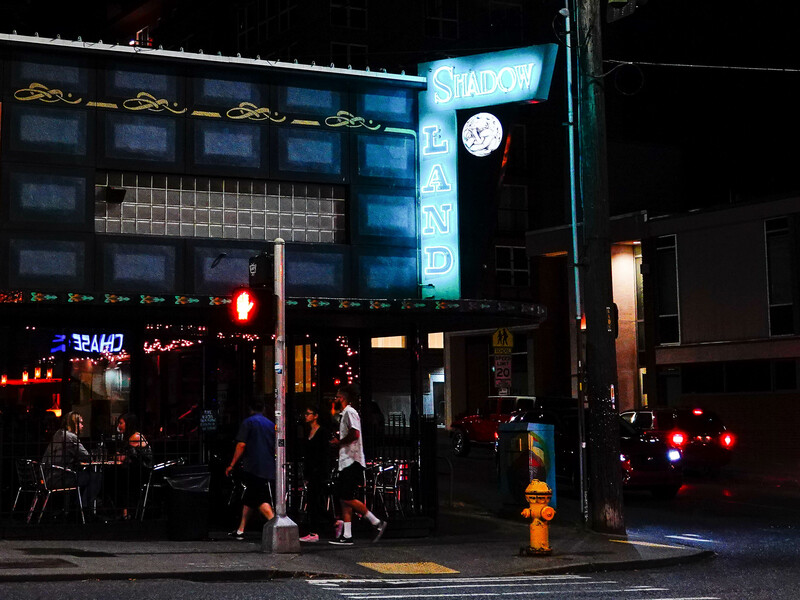 Further north on California Avenue is Shadowland, a great spot to meet friends for drinks and dinner… and more drinks. This 21+ spot has an eclectic menu and relaxed atmosphere. View their event calendar for live music, dj schedule and pub trivia.